The 4th Inter-University Badminton Tournament will begin on February 15 on the East West University (EWU) campus in the capital, reports UNB. 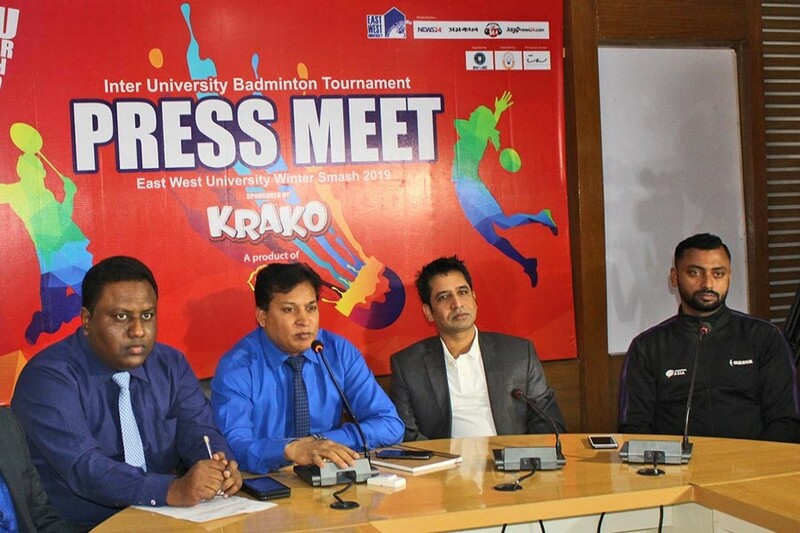 EWU Assistant Professor and Moderator of the University's Sports Club ASM Ashif said, "The EWU Winter Smash is the biggest inter-university badminton tournament in the country." General Manager of PRAN Foods Limited Ali Hasan Alam said, "The tournament has received huge response from the youth. We hope PRAN KRAKO will be more popular among the all class including the youths."